A bridge on two shores january 2017 – Fondation d’Entreprise Hermès, Gesture as an inheritance. The craft paper creations of Asya Kozina. 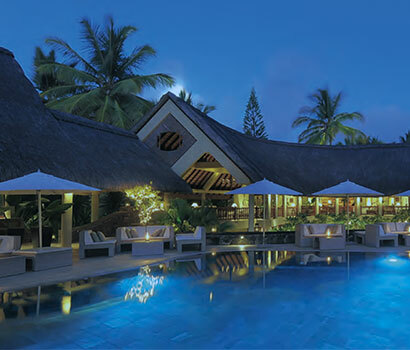 As Mauritius’ unrivalled star hotel, the Royal Palm has undergone a facelift that succeeds in achieving both discretion and depth! The exterior rendering has been replaced and the facades now exude a smooth, beige complexion, with lighter wooden window trims…this ‘micro-construction’ remains loyal to the original structure but gives the overall look a resolutely contemporary feel. On the bedroom side of things, the number has been reduced from 84 to 69: 30 rooms have been knocked together to produce 15 suites spanning 110m2…The interior design – props to French designer Amélie Montocchio who lives in Mauritius – incorporates natural stone granite floors, Italian tiles, grey marble, oak, walnut, fabrics by Frey and Nobilis and dark wooden furniture made on site…and we haven’t even mentioned the best bit! A resplendent bathing pool level with the beach brings a final flourish to this incredible successful renovation. And frequent guests need not worry: the beachside restaurant still remains beneath the famous badamier tree and has not changed! Westin: brand new and beautiful!